The Mouse Connection: Happy Birthday to The Mouse Connection! Happy Birthday to The Mouse Connection! 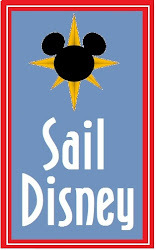 I started this blog as a labor of love and to give my clients a crash course in Disney 101. I have been amazed at how many others have followed along the way. Who knew that people from every corner of the globe actually cared about my Disney ramblings?!?! The best part of all is when I get an email from a reader who lets me know that a trip really made their vacation better. It honestly makes it all worthwhile. 4. Got Kids? Get Glow Sticks! The most often linked to post... Keep up with your Kids! 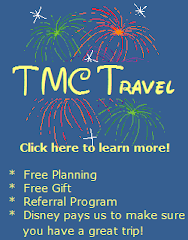 My most self serving post... Why use a Travel Agent for your Disney Vacation? So thanks for coming along for the ride. I am looking forward to another year together! Happy Blogoversary!! I especially want to that you for that wonderful year! I believe I've commented before that you were the reason I got into Disney blogging, but I wanted to thank you again! It was your "Telling the kids" post that pulled me in, and I quickly read through your entire blog in a sitting. Thanks to your Glow Stick post I have already purchased these (and even some extras, as you mentioned your generosity of sharing with the children around you). I also especially loved the Ziploc bag post, and have already stashed those with my stuff, ready to start packing this weekend. I especially love the tip for putting a day's complete outfit in a bag to make it easier when getting ready in the mornings! Wow, got a little long-winded there. 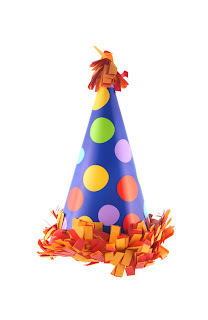 Congrats on a year, and thanks for the wonderful posts and tips you've provided. I wouldn't be where I am without them. I need to get you added to my blog roll! Congratulations on your 1 year blogoversary!! I love reading your posts and have gotten so many great tips that I will be using on our next trip. I can't wait to read for another year!